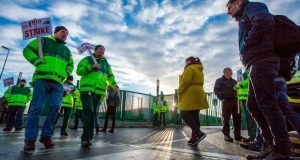 Ambulance paramedics, advance paramedics and emergency medical technicians are striking today for union recognition and against the Government’s hard line union busting position. 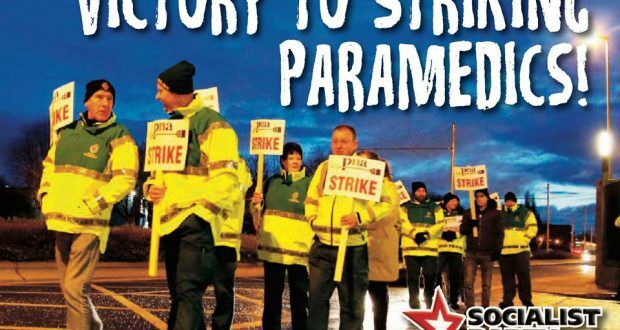 work in the national ambulance service, 600 of these workers want to be represented by NASRA. However, the Government and the HSE refuse to recognise this union. service. The consequence is chronic overwork of ambulance staff. The national ambulance service is currently underresourced to the point of approximately 600 staff and 300 ambulances at a minimum. 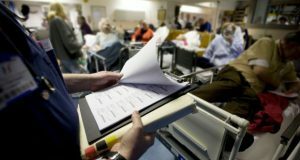 suspensions from National Ambulance Service management being used to whip the service into shape. 48% of staff members had experienced bullying or harassment in the organisation in the previous two years. supporting this important fight for union recognition. 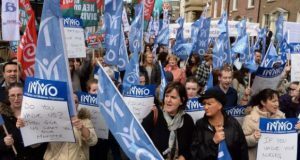 workers’ rights within the health service and the fight for an Irish national health service go hand in hand. No to union busting. For immediate recognition of NASRA. restoration and a reversal of austerity. companies into democratic public ownership. and to meet our needs, not the needs of private profiteers.